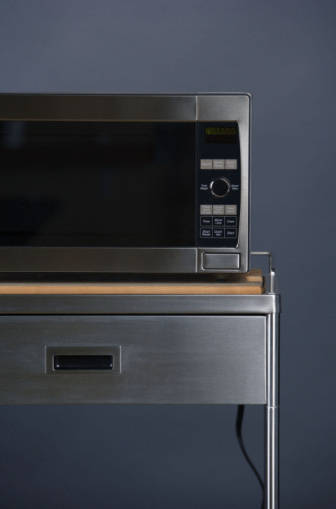 A microwave works by creating RF or radio frequency energy by way of oscillating magnets. This frequency is then magnified and the food absorbs it, heating up. A number of issues can arise with a microwave, some signaling the imminent failure of the device. Also, some of these issues can present a dangerous situation if the microwave catches fire due to failing. Try to heat a food item. If the microwave does not heat the food or the food is only slightly heated despite a few minutes inside, this is a sign of a failing microwave. The likely cause in this instance is a failing magnetron, a tube which is the nucleus of the microwave's high-voltage system. Listen to the microwave. If it makes a loud buzzing sound when in operation, this is a sign that the power diodes may be failing. Loud, unexplained noises coming from the microwave are also indicators. Watch the microwave during use. If it shakes, vibrates excessively or you see flashes of light or sparks inside, it is failing. Smoke can also be a sign of a dangerously failing microwave. Smell the air around the microwave during use. If you smell burning that does not smell like food, such as the smell of burning electronics or plastic, the microwave may have electrical problems.